Palm Beach™ polysatin shutters, made of specially formulated ultraviolet resistant polysatin compounds, are guaranteed never to warp, fade, chip or peel, regardless of high heat or moist conditions. Palm Beach™ polysatin shutters will not warp, crack, peel, chip or shrink. They are UV-resistant and unaffected by temperature and humidity extremes. Color throughout keeps them looking new for as long as you own them. The scratch- and dent-resistant finish never needs sanding, staining or painting. The shutters clean up beautifully with mild soap and water. 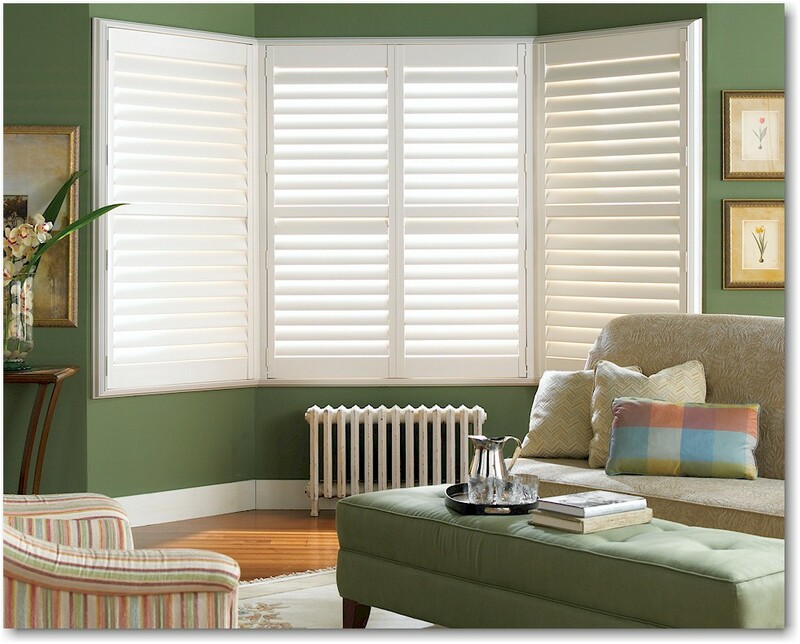 Palm Beach polysatin shutters are ideal for any room in your home. All key interior support elements of Palm Beach polysatin shutters, such as stiles and T-posts, are reinforced by thick aluminium extrusions that run the entire length of the profiles, thereby adding exceptional stability to the shutter panels. Palm Beach shutters are also flame retardant, complying with NFPA Standard 701/2004. Heritance® hardwood shutters are crafted for maximum strength and durability using Trumill® dovetail joinery and finished with any of our 100 Integra™ paint and stain finishes. A vast selection of frame choices, specialty shapes, configuration options and louver sizes gives you one of the largest selections in the industry. The Heritance® hardwood shutter program combines timeless beauty and enduring craftsmanship with the latest innovations in shutter technology. Each shutter is custom made to your customers’ exact specifications. And now, Heritance hardwood shutters offer greater variety than ever with rectangular shutters, arch/angle panel systems, specialty shapes — and unlimited color choices!